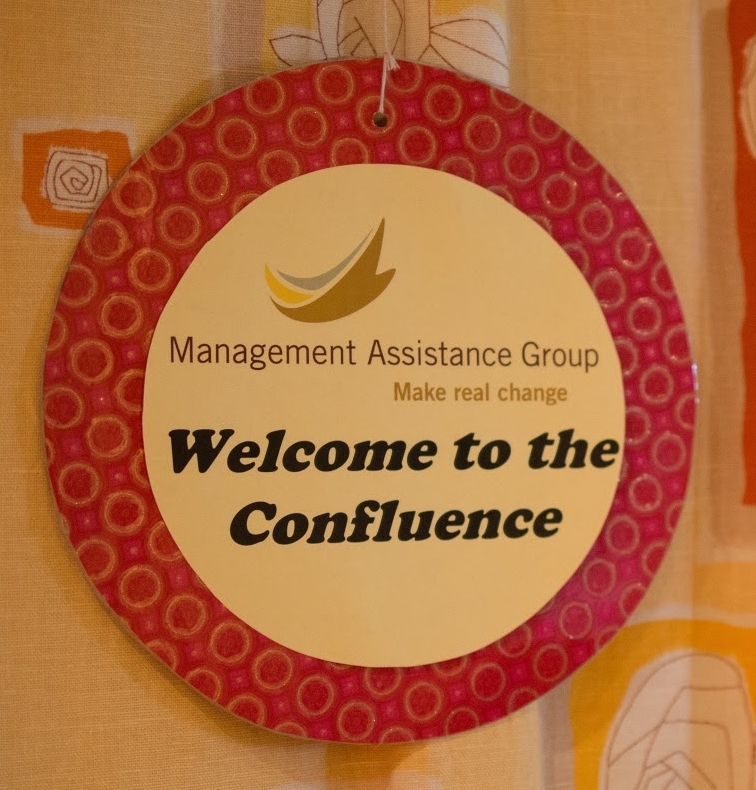 Confluence: A coming together of mighty streams to catalyze transformation that includes and transcends our individual selves, our groups, our organizations, and our networks. In early June, nearly 100 activists, artists, philanthropists, entrepreneurs, and others came together in Chicago, Illinois for Confluence. Together, we shared practices, learnings and our individual and collective visions for a world filled with love, dignity, and justice. The convening was designed to deepen our relationship to each other and to the five elements necessary for advancing transformative social change—advancing deep equity; influencing complex systems; developing a leaderful ecosystem; valuing multiple ways of knowing, and building the inner capacity to transform our nation. The gathering provided something even more profound: the nascent glimmerings of ways of being in struggle together that do not replicate the antagonism, judgement, competition, and overall dis-ease of so much of our world—and sometimes, our work to transform it. There were many challenging and miraculous moments that contributed to this emergent potentiality. Through catalyzing conversations, invocations, rememberings, music, and movement, we explored, rejected, inspired, and sometimes broke free of the chains of injustice that so often circumscribe us. But more than the “doings” of Confluence, it was the beings who made it magic. People came open and willing—hungry even—for this shared practice. Adrienne Maree Brown buoyed the room with her playful, sensual, and provocative talk about the role of emergence and experimentation in changing complex systems. Sheryl Petty grounded us all in inner work as a foundation for advancing deep equity as well as deepening our own internal capacity for the work ahead. On the last day, Suhad Babaa inspired us with the power of story and drew on multiple ways of knowing to reframe, reimagine, and re-make our world. Now that your eyes are trained to recognize spaces where folks feel right in their skin and there are chances for renewal through ritual and music and where humans fight like humans rather than fighting like colors and bank books, you might start to notice spaces where these spaces are forming all around you, in places you didn’t see before… Even from just the noticing, you’ll probably be different too. Once you’ve had a chance to see what living looks like when we all get free, you can’t unsee it. Notice how love is curvilinear? Notice how it bends over backwards to reach you? No matter where you are in it, as long as you are in it, you are its intended. See, you have to see yourself "in love." Look and marvel at love’s capacity, its contraction and expansion. You have to know your Loveland, its boundaries, territory, reach, leaks. You have to know that when you place yourself, your potential or present life partner, your house, your block, your family, your neighborhood, your city, your state, and your country in that circle, then everybody is “in love” with you. And no one can be in love and hate at the same time. Can you feel this confluence of love, dignity, and justice? We can. And there is no end to our gratitude. Images by Eugene Kim, Management Assistance Group.